Innovative design and functionality, this is what smartwatch enthusiasts anticipate upon the release of the iWatch. But all that exists in the public domain on Apple’s smartwatch plans is speculation. 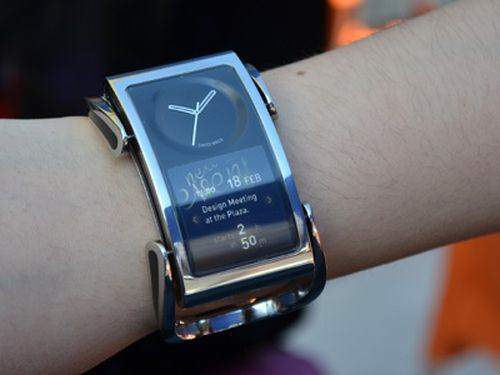 One designer, Creoir, has gone ahead to release a concept smartwatch flaunting its capacity to create elegant devices. With Nokia and Jolla as part of its clientele, Creoir has created the Ibis which unlike most smartwatches in existence shows the skill of a timeless jewelery piece. The Ibis is a watch first with a metal design and a face that emphasizes its primary function. Beneath this, a small display is included to serve notifications, calendar entries, answer and reject calls. The Ibis runs a stripped down Android system with WiFi, Bluetooth 4.0, an accelerometer and USB connectivity.